Changes have been made to the existing e-Visa regime in India, in order to simplify applications to ease entry for tourism, business and medical purposes. Keen to project India as a viable travel destination among the foreign nationals, the government of India has been taking steps towards improving it’s visa regime. In continuation of this effort, the government has liberalised and simplified the existing e-Visa (electronic-Visa) regime, increasing the time limit for seeking the entry permit from the existing 30 days to a maximum of four months.The Indian e-Visa, which was launched by Goverment of India in Nov 2014, is now available for nationals of the 162 countries/territories as following:Albania, Andorra, Angola, Anguilla, Antigua and Barbuda, Argentina, Armenia, Aruba, Australia, Austria, Azerbaijan, Bahamas, Barbados, Belgium, Belize, Bolivia, Bosnia and Herzegovina, Botswana, Brazil, Brunei, Bulgaria, Burundi, Cambodia, Cameron Union Republic, Canada, Cape Verde, Cayman Island, Chile, China, China-SAR Hong Kong, China-SAR Macau, Colombia, Comoros, Cook Islands, Costa Rica, Cote d'lvoire, Croatia, Cuba, Cyprus, Czech Republic, Denmark, Djibouti, Dominica, Dominican Republic, East Timor, Ecuador, El Salvador, Eritrea, Estonia, Fiji, Finland, France, Gabon, Gambia, Georgia, Germany, Ghana, Greece, Grenada, Guatemala, Guinea, Guyana, Haiti, Honduras, Hungary, Iceland, Indonesia, Ireland, Israel, Italy, Jamaica, Japan, Jordan, Kazakhstan, Kenya, Kiribati, Laos, Latvia, Lesotho, Liberia, Liechtenstein, Lithuania, Luxembourg, Madagascar, Malawi, Malaysia, Mali, Malta, Marshall Islands, Mauritius, Mexico, Micronesia, Moldova, Monaco, Mongolia, Montenegro, Montserrat, Mozambique, Myanmar, Namibia, Nauru, Netherlands, New Zealand, Nicaragua, Niger Republic, Niue Island, Norway, Oman, Palau, Palestine, Panama, Papua New Guinea, Paraguay, Peru, Philippines, Poland, Portugal, Republic of Korea, Republic of Macedonia, Romania, Russia, Rwanda, Saint Christopher and Nevis, Saint Lucia, Saint Vincent and the Grenadines, Samoa, San Marino, Senegal, Serbia, Seychelles, Sierra Leone, Singapore, Slovakia, Slovenia, Solomon Islands, South Africa, Spain, Sri Lanka, Suriname, Swaziland, Sweden, Switzerland, Taiwan, Tajikistan, Tanzania, Thailand, Tonga, Trinidad and Tobago, Turks and Caicos Island, Tuvalu, UAE, Uganda, Ukraine, UK, Uruguay, US, Uzbekistan, Vanuatu, Vatican City-Holy See, Venezuela, Vietnam, Zambia and Zimbabwe.In April 2017, the Government of India also introduced three new sub-categories under their existing e-Visa scheme, i.e. The duration of stay for foreigners, coming into the country through select categories of e-Visa, has also been extended to two months from existing one month.Liberalising the visa regime should considerably facilitate entry of foreigners into India for tourism, business and medical purposes. Consequently, the arrival of foreigners in India is expected to increase substantially in the coming years.This should in turn give a boost to tourism, medical and business sectors, resulting in a substantial increase in direct and indirect employment in these sectors. It’s entirely a hassle free online visa process, much quicker and faster than previous regimes, and can be completed in three simple steps i.e. Under the e-visa scheme, an applicant receives an email authorising him or her to travel to India after it has been approved. The tourist can travel with a print-out of this authorisation.On arrival, the visitor must present the authorisation to the immigration authorities who would then allow entry into the country.An e-Visa is valid for entry through 25 designated Airports (i.e. Ahmedabad, Amritsar, Bagdogra, Bengaluru, Calicut, Chennai, Chandigarh,Cochin, Coimbatore, Delhi, Gaya, Goa, Guwahati, Hyderabad, Jaipur, Kolkata, Lucknow, Mangalore, Mumbai, Nagpur, Pune, Tiruchirapalli, Trivandrum, Varanasi and Vishakhapatnam) and five designated seaports (i.e. Cochin, Goa, Mangalore, Mumbai, Chennai). 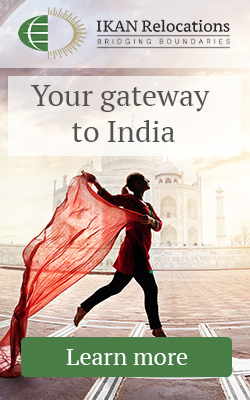 However, the visa applicant can take exit from any of the authorised Immigration Check Posts (ICPs) in India.Applicants of the 162 eligible countries/territories and as per their purpose of visit, may apply online minimum four days in advance of the date of arrival with a window of 120 days. For example, if the applicant is applying on first of September then he/she can select an arrival date from fifth September to second of January.An e-Visa can be availed a maximum of two times in a calendar year i.e. between January to December.The window for application under e-visa scheme has been increased from 30 days to 120 days and duration of stay on e-visa has been increased from 30 days to 60 days with double entry on e-tourist and e-business visa and triple entry on e-medical visa.Separate immigration counters and facilitation desks to assist medical tourists have been provided at Indian airports namely, Delhi, Mumbai, Kolkata, Chennai, Bengaluru and Hyderabad.Information provided by IKAN Relocation Services.